This filter creates the kind of earthshaking low end sine oscillations that are perfect for all kinds of electronic kick sounds or ultra low sub bass drones popular in Drum & Bass music. Each filter has switchable lowpass, highpass and bandpass characteristics. 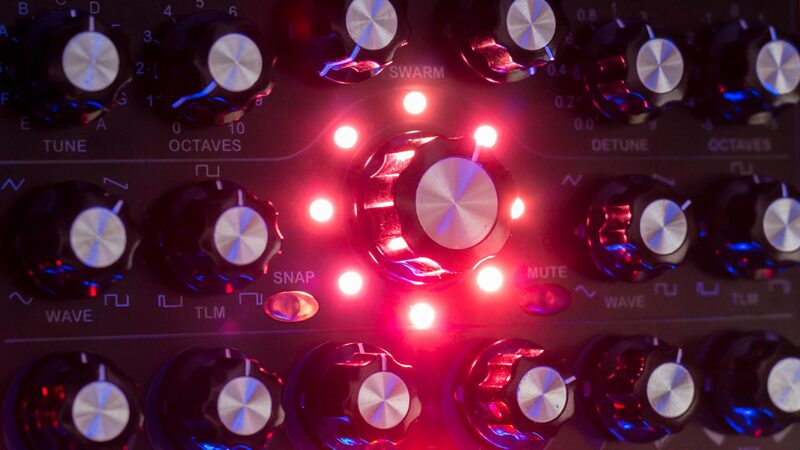 The toggle switches mix the different filter functions together and feed them to the output. The parameters of both filters operate totally independent from each other but the Couple knob in the middle controls both filter frequencies simultaneously. 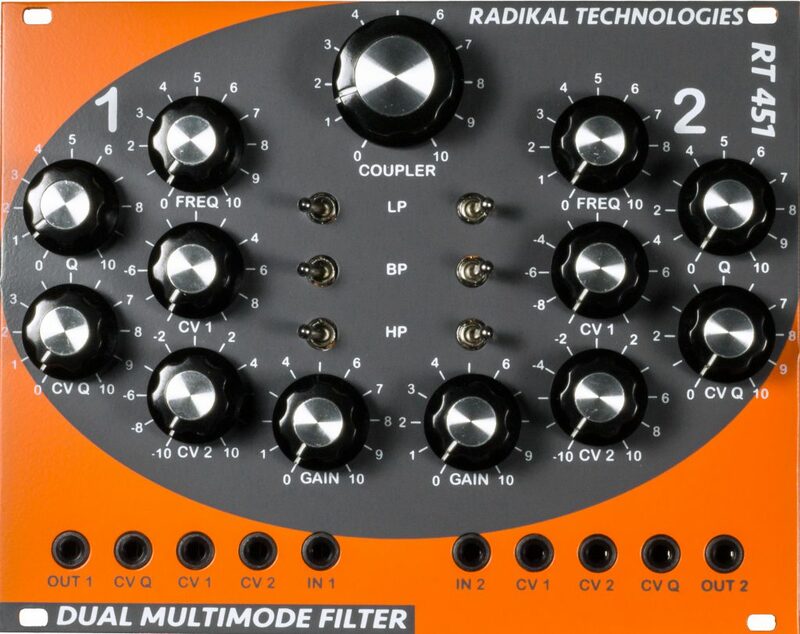 That allows for controlling both filters in series or parallel configurations with one dedicated knob.